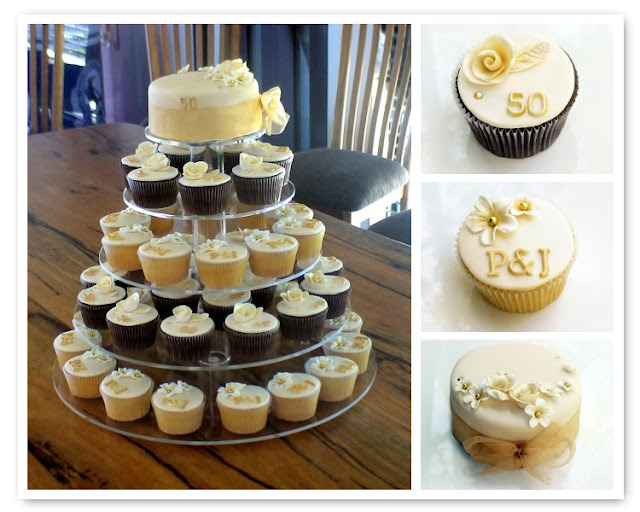 An elegant array of gold hued cupcakes for a 50th Wedding Anniversary Celebration. A combination of Chocolate Cupcakes with Vanilla Buttercream and Vanilla Cupcakes with Chocolate Buttercream finished in all edible fondant decorations. These are so elegant. I can never get the letters out of the cutter...! 8 dollars per cupcake!! that's too much don't you think?